A month or so ago, I reviewed the Alacrity Audio Caterthun speakers, remarkable for the amount of bass that they were able to put out for their size. The manufacturer has since asked me if I would audition the full-range version of that speaker. The full-range driver in question has a 5 and a half inch paper-cone, and a whizzer cone to reproduce the higher frequencies. Traditionally full range drivers have been liked because they don't require a crossover, so there are no phase issues. The disadvantage (isn't there always a compromise in hi-fi?) is that they cannot reproduce such a broad range of frequencies that multiple drivers can, so bass and top end tend to suffer. That's one reason that they usually have a whizzer cone to enhance the top end, but the lower end is often neglected. With the patented solution for increasing the bass in a smaller cabinet, the Caterthun Full-Rangers have been designed to overcome that problem, thus offering the benefits of a single driver, but with less (if any) of the compromise in the lower frequency range. As with their siblings, the Full-Rangers arrived in a very smart flight case, and were finished to the same high-standard in gloss finish wood veneer. The single driver sits on the front baffle with a port immediately below it. There are four binding posts on the rear of the cabinet which appeared a bit odd for speakers with a single driver but I think that I may have discovered why later in my audition. The final version of these speakers will come with attractive grilles that were not available at the time that I wrote the review. From past experience with smaller speakers (the Full-Rangers measure 20cm wide x 25 cm deep and 41 cm tall) I knew that they would benefit from a taller speaker stand and this was very much the case with these speakers. Sat on lower stands, there appeared to be something missing in the sound. With the drivers raised to the same height as my ears, they sounded better, and I felt able to start serious listening. Once again, I noticed (but was not so surprised this time) the amazing depth of the bass from such small speakers. As with the other Caterthuns (I hope using the same model name won't be too confusing) these speakers were punchy and tuneful with those lower octaves, and I soon forgot their size. One point that I forgot to mention in my other Caterthun review is how little those small woofers move, even when they are playing a lot of bass frequencies. This is apparently due to the method used to produce the extra bass, and it should also make the higher frequencies clearer as well (because the woofer is not being run ragged). However other parts of the frequency range weren't so interesting. 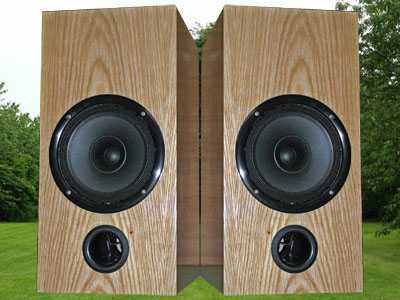 I felt that these speakers sounded a bit compressed in the mid-range and lacking in the higher frequencies. I know that we won't get much above 10K from a whizzer cone but my experience with other full-range speakers was that seemed to enhance the mid-range by making it more prominent. But with the Full-Rangers, almost everything from the bass upwards left me wanting 'more' Solo singers for instance lost the presence that they have with other speakers. Nothing really seemed to 'sparkle' and it all sounded rather flat and uninspiring. I wondered if the drivers needed a bit more breaking in so left them running during the day time for a few days but that didn't make them sound any better. I went through track after track trying to find something where the full-range Caterthuns may excel but in truth there wasn't anything. I usually expect a full-range driver with no crossover to excel on vocals, but Richard Burton's introduction to 'War of the Worlds' made him sound as though he was almost in another room. I had taken a break from the Full-Rangers to do my review of another loudspeaker and came back to them wondering if my impression of them would have changed. But while I welcomed the bass, they still didn't do anything to make me really like them (as had the original Caterthuns). Having a good idea of what it was that I didn't like, it was time to do a bit of tweaking. 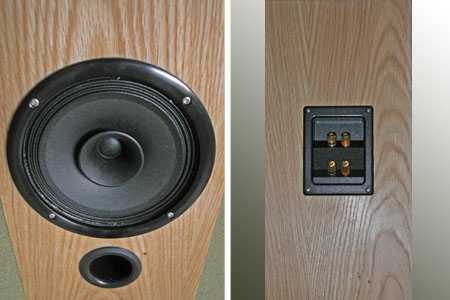 I actually had a pair of 1 inch soft-dome tweeters sitting on a shelf in the auditioning room, so I soldered some wires to them, together with a 0.1 uF cap in series and connected them to the Full-Rangers via their spare pair of terminals (was Alacrity expecting me to do this or was there another reason for fitting two pairs of terminals to a full-range speaker?). This mod made a noticeable improvement and I actually started to enjoy listening to them for the first time. At that stage I wrote to Alacrity Audio with my findings, and shortly afterwards got a reply saying that they pretty much agreed with my account of these speakers. They were apparently considering the use of a super-tweeter with the Full-Rangers but asked me if I would go ahead with my review anyway. Changing the 0.1 uF caps for 0.22 uF further improved the overall sound, but the tweeters then needed some taming. A couple of L-pad attenuators did that job and then these speakers were sounding rather good. But I won't wax lyrical about that set-up, rather I will wait until Alacrity have sorted out the Caterthun Full-Rangers themselves, and then give my opinion. Suffice to say that they do have real potential. So while I can't recommend the Caterthun Full-Range speakers as they stand, they have at least confirmed that the original Caterthuns were no fluke as regards their bass performance, and I look forward to seeing what Alacrity Audio come up with as an improved version of these Full-Range speakers.